The realisation that behind this stupendous tour de force lies only the domestic intricacies of municipal housing risks turning the whole display into an absurd melodrama, a folie de grandeur. 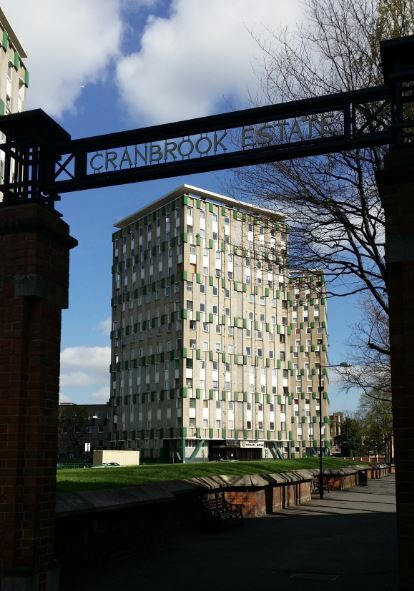 To be honest, the passer-by on Roman Road might be forgiven for seeing rather more ‘municipal’ than ‘grandeur’ with a quick glance but, in conception and design, the Cranbrook Estate deserves closer attention. It remains a monument to post-war ambitions to house the people and a testimony, in particular, to the vision of the tiny borough of Bethnal Green. Bethnal Green covered a little over a square mile. And that – despite their proximity – was probably its only resemblance to the City of London. Bethnal Green was a working-class borough with a population in 1955 of around 54,000 – half that of 1931. All thirty seats of the Council had been held by Labour since 1934 and would remain so till the abolition of the borough in 1965. The first priority was to repair those houses capable of repair. By 1953 this was largely complete and the London County Council and Metropolitan Borough Council refocused their efforts on slum clearance. 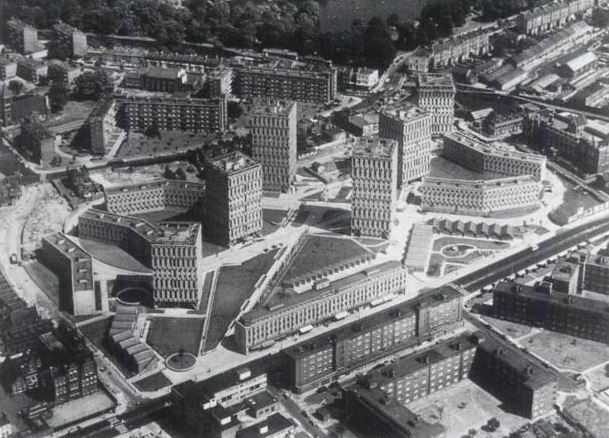 Both had already built homes in the borough too – the LCC over 800 by 1951, Bethnal Green 643 by 1953. 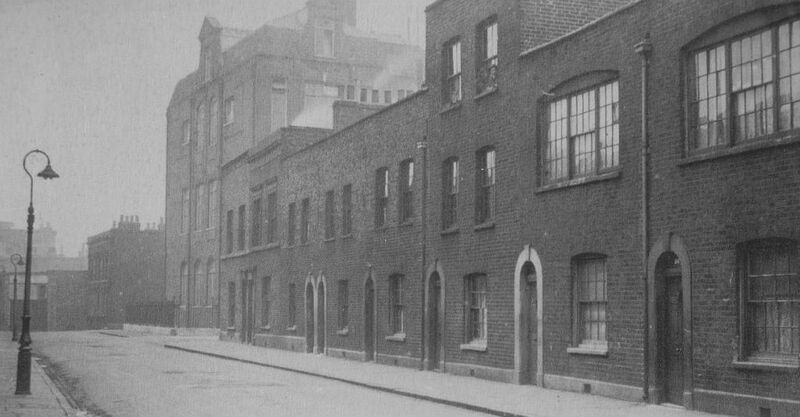 The Borough used private architects to design its housing and built by a mix of contractor and direct labour. Pevsner comments on the ‘more sympathetic detailing’ of the Borough’s housing compared to that of the LCC. 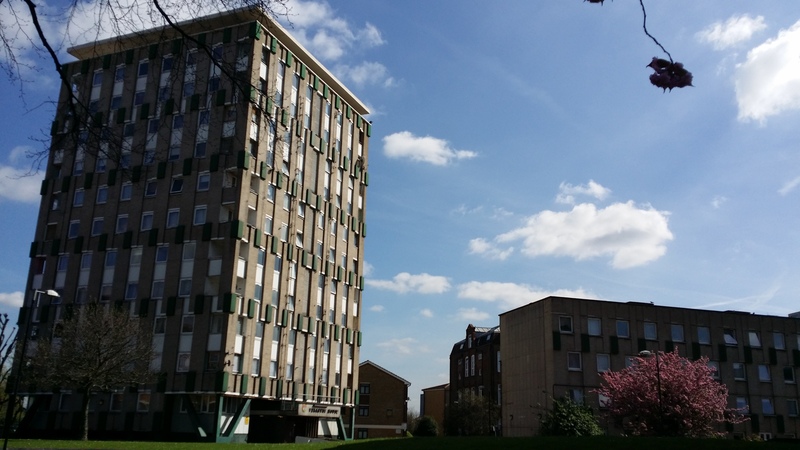 (3) But the height of the Council’s ambition came with the Cranbrook Estate started in 1955. In that year, Bethnal Green appointed Messrs Skinner, Bailey and Lubetkin as architects (a regrouped version of the Tecton Group which had designed the Spa Green Estate in Finsbury before the war) and approved the first stage of the scheme. The Council also stipulated in draconian but necessary terms – given their intentions – that no applicants on the waiting list would be granted any of the new-build homes; it would all go to those living in areas to be cleared. Construction began shortly after. 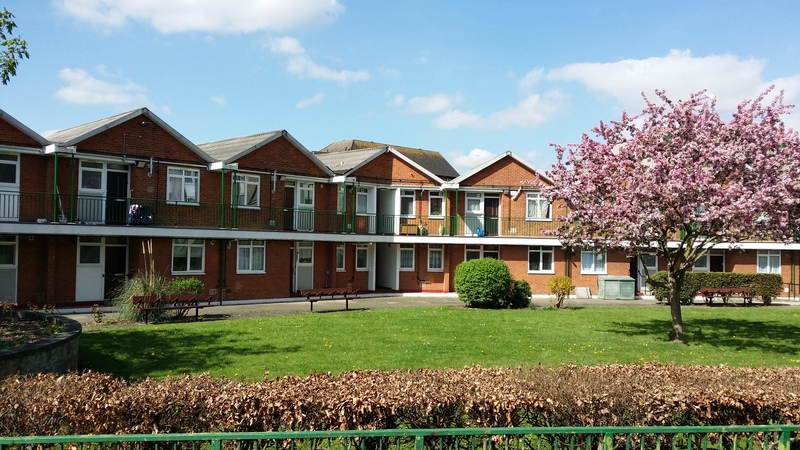 The first units – Holman House, a five-storey block of 48 flats over a frontage of 12 shops, Tate House, 14 old people’s bungalows and Stubbs House, a two-storey block of old people’s dwellings – were officially opened by the mayor in March 1963. (5) The Estate as a whole was officially opened in January 1965 and completed in 1966. 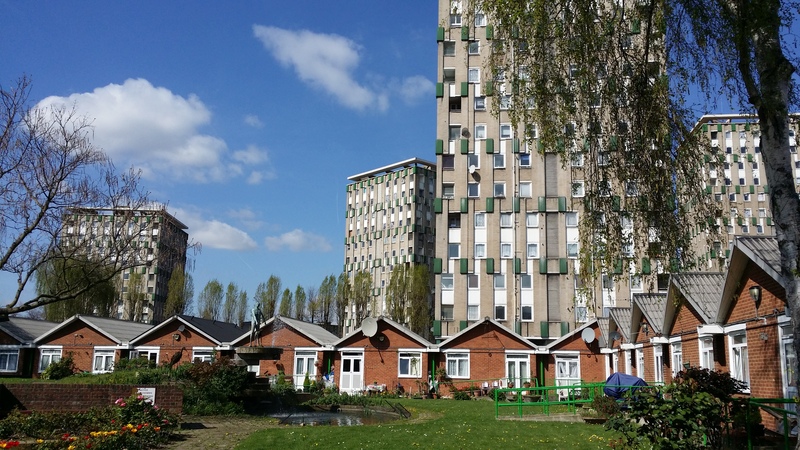 The new Estate – in plain numbers – comprised two fifteen-storey blocks of 60 homes each, two thirteen-storey blocks of 52 homes each, two eleven-storey blocks of 44 homes each and five four-storey blocks of 28 homes. With ancillary dwellings, there were 529 new homes in total – 43 bedsitter flats, 115 one-bedroom flats, 271 two-bedroom flats and 100 three-bed flats. 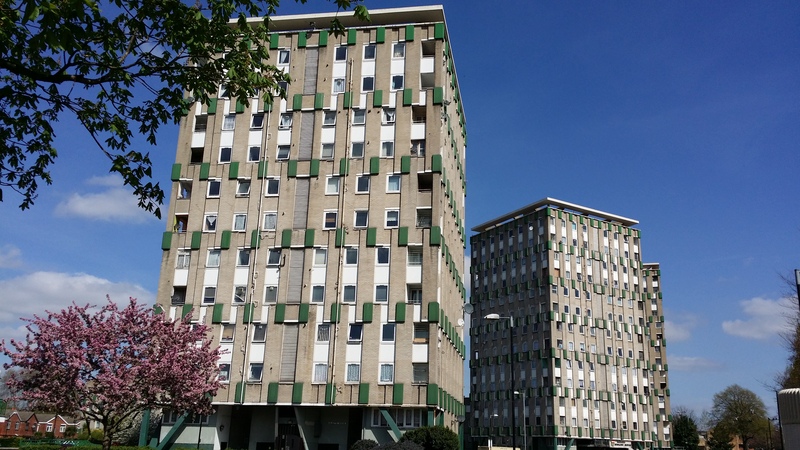 This is one and half times the size of le Corbusier’s Unité d’Habitation. I always had the impression that he was the boss. We all used to come, all the mums, and meet him and he’d say: “How’s things working?” He’d come in and have a biscuit and a cup of tea and he’d say that no matter what flat he went into, his décor went with the furniture. He was very proud that everything went together. He’d come up to London each month, his ‘sketchbook bulging with plans’. In overall terms, the Estate was, according to John Allan, his ‘most ambitious achievement in urban orchestration, an essay in controlled complexity’. The ensemble of six towers and five medium-rise blocks were arranged geometrically, set along two diagonal axes – pedestrian walkways which echoed the earlier street pattern. The buildings progressively reduced in height from 15 storeys to 13 to 11 in the towers to five in the block of flats and shops on Roman Road, then to four in the series of maisonettes and to two, and finally – in a conscious diminuendo – to one storey in the old people’s bungalows on the Estate’s perimeter. In James Meek’s words, the blocks were spaced apart and so angled that one face would always catch the sun and shadows cast would ‘rotate like the spokes of a wheel’. In the original design, one of the avenues was to lead directly at its north-western corner into Victoria Park but the Council couldn’t purchase the intervening land. Instead, Lubetkin designed an elaborate trompe l’oeil – a tapering ramp and series of diminishing hoops to give the illusion of distant vista. This no longer exists. There have been other changes too. 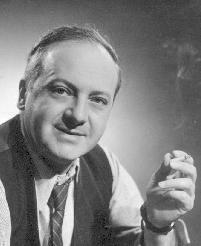 Some of the élan of Lutbetkin’s original design has been lost. Those diagonal axes became a figure of eight. 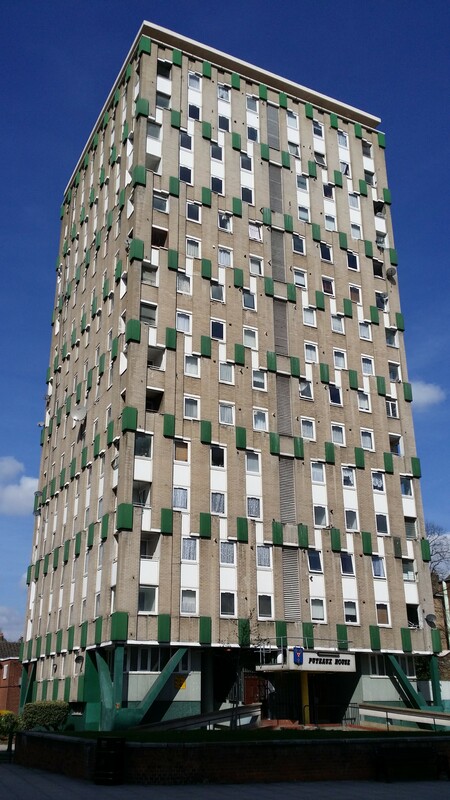 The tower blocks now have blank steel shutters erected across the deep openings which originally scored their façades; the green concrete bosses and glass beads which studded the façades have been replaced by aluminium boxes; white pipework scars their exterior. Parts of it are clearly in need of refurbishment. The passer-by might be forgiven for seeing the Estate as a little more ordinary than it actually is. loved it. I absolutely adored it. We had central heating so we didn’t need to light a fire any more. My husband thought we’d moved into a ship. All the walls were painted grey, battleship grey. Everything was grey except the wall where my books are and the bathroom, which was red, a dusty red. I have to say I loved growing up there and have very fond memories of playing out with friends and certainly always felt safe! Our flat was spacious – my bedroom now in a four bed house is about half the size of the bedroom I had in Offenbach House. 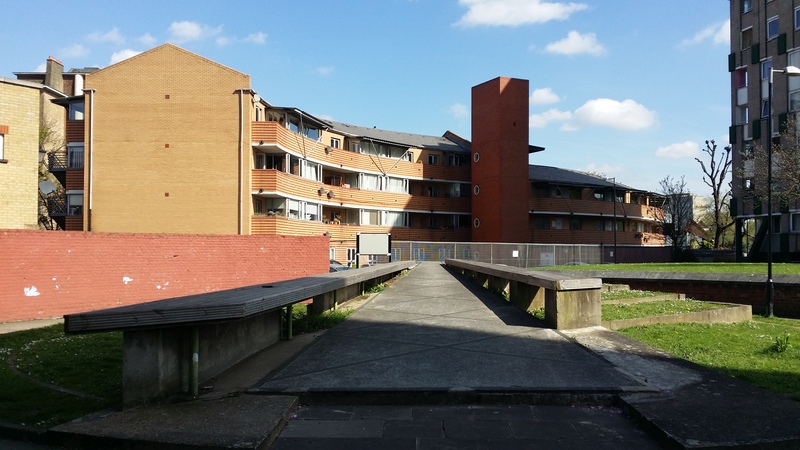 More recently, when one resident spoke of their fear of crime on the Estate, others were quick to defend the safety and friendliness of Cranbrook – though a few knew of particular ‘problem families’ who did cause trouble. And that brings our story pretty much up-to-date. 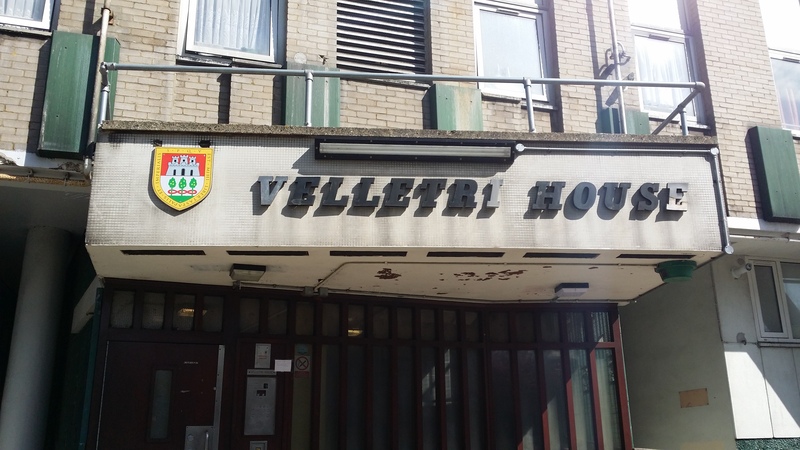 The Estate is now managed by Tower Hamlets Homes, an ‘arms-length management organisation’ of Tower Hamlets Council. That, however, was a close-run thing. In 2005 it was proposed to transfer ownership to the Swan Housing Association but a campaign by Defend Council Housing and then local MP George Galloway secured a 72 per cent tenant vote in opposition. In this context, Lubetkin’s disillusion with municipal design – which came to a head with the rejection of his plans for Peterlee – seems disingenuous. Ultimately, council housing has been less about ‘grand designs’ than about providing decent homes for ordinary people. 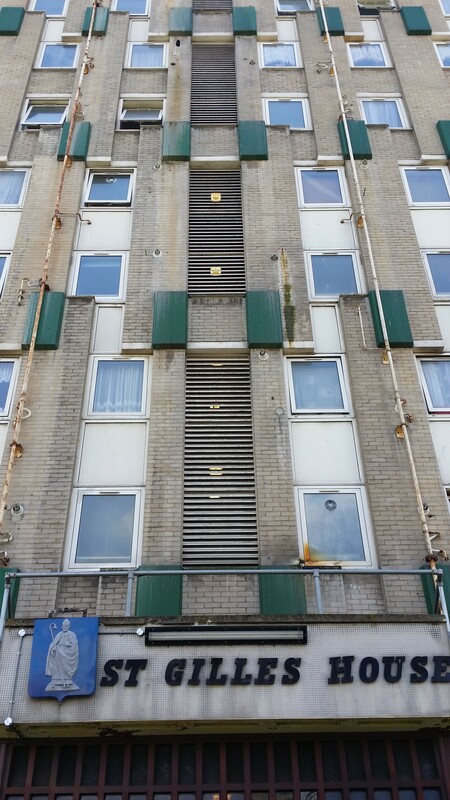 (9) See the comments on LoveLondoncouncilhousing, ‘Cranbrook Estate’, posted September 3, 2009, and read the blog for more photos and analysis. I’m grateful as always to the helpful staff of the Tower Hamlets Local History Library for their help in accessing their excellent resources. Really interesting, as always; I haven’t been past the estate for a while, but it always seemed to have stood the test of time better than many, perhaps most, of the estates of a similar age in East London. 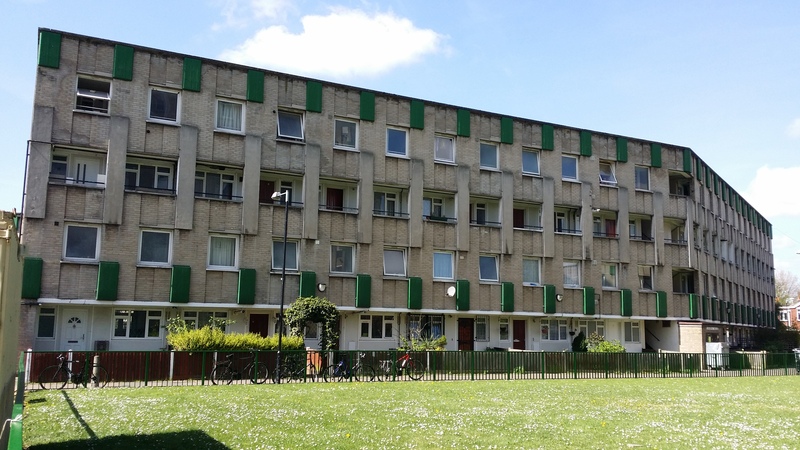 Having recognised a very familiar setting from my childhood whilst watching the BBC show Luther on Netflix today, I decided to do a quick Google search – “cranbrook estate e2 luther tv series” – and this article appeared. Out of curiosity (having grown up on Cranbrook) I decided to have a read. I noticed a very familiar reference (9), a comment taken from lovelondoncouncilhousing. It happens to be a comment made by me after reading the post whilst doing research for a project for a Space, Place and Architecture module that formed part of my BA in Social Anthropology (I was interested in applying Foucault’s analysis of power structures to the Great British council estate and decided to be nostalgic and look at my own roots to do so). I also enjoyed the article, from the brief yet concise history, to the frankness of the author in their musings of the aesthetics of the estate, to the general positive approach to social housing that is usually lacking in representations of council housing. So thanks for drawing me in, will certainly be reading some of the other articles on this site. Grateful for your references to my biography of Lubetkin (“Berthold Lubetkin – Architecture and the tradition of progress”, first published 1992, 2nd Edition published by Artifice 2012), but I wish you’d spell my name correctly. Many apologies. It’s corrected now.